If you’ve been following along here at Zigzags & Zebras you’d know that my word of the year for 2019 is create. I want 2019 to be about creating my art, both digitally and unplugged – and I’ve got a great platform to help me do that! 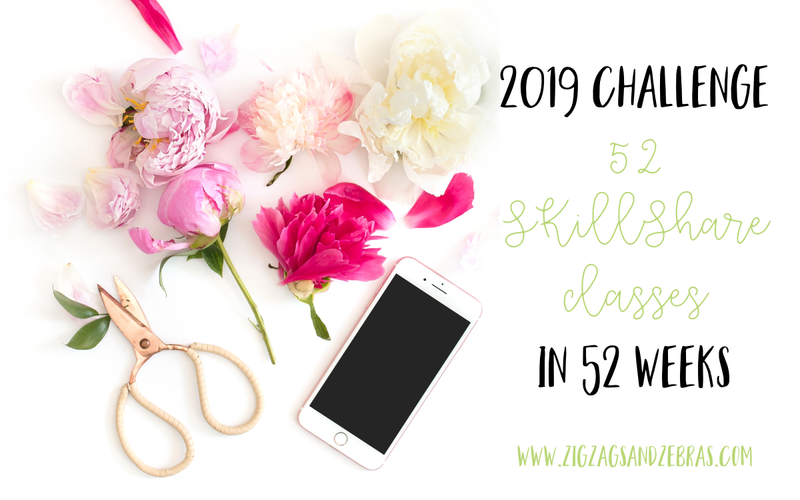 This post is going to be to hold me accountable to my 52 skillshare classes in 52 weeks – and be sure to check back throughout the year as I work my way through the classes. One of my 101 goals in 1001 days was to complete a 52-week challenge – and I chose to try and tackle one skillshare class every week for one year. If you aren’t familiar with Skillshare it is an online learning platform where you can learn from other creatives and take courses in lettering, graphic design, business, painting, watercolours, sketching, journaling, cooking – you name it, there are classes on everything. It’s also a really affordable membership – the premium version runs me $16/mo CAD and it’s even cheaper when you pay annually. Considering you often pay upwards of a few hundred dollars to take one online course, having access to a full library for a low monthly fee is awesome. You can snag 2 months of Skillshare premium for free with this link so you can make sure it’s right for you! 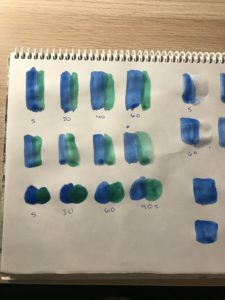 Of course, I’m tracking this in my bullet journal as well, but I want to keep a running list here on the blog so you can follow along with me. 🙂 Each week I am going to complete a class and write it on the list – with the week it was completed (from 1-52). It will be so exciting to see how my skills improve throughout the year! If you have any class recommendations please let me know below in the comments. 1. 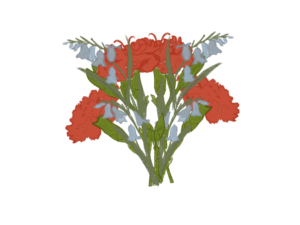 Class/week one: Digital Florals: Painting in iPad Procreate. 2. Class/week two: Turn a photo into a cartoony artwork with the Procreate app! I crashed and burned in this class, haha, I just could not get it! I would really like to be able to do cartoon drawings, but I struggle hard with drawing people. Hopefully, by the end of the year, I will improve! I had fun in this class! 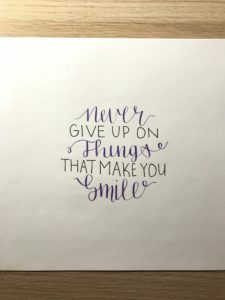 It was short and sweet and had some good tips for setting up my lettering. Photo of my project below! I learnt lots from Ohn Mar Win in this class! She tests different ways watercolours react on your paper and with each other, and I had a blast doing the experiments alongside her. I’m still really new to watercolours but I’m excited to see what I can learn this year. Have you completed a 52-week challenge before? I’d love to hear what it was! Love this idea and your blog name is too cute!! At first I thought you were talking about making 52 classes in 52 weeks! Ha! !